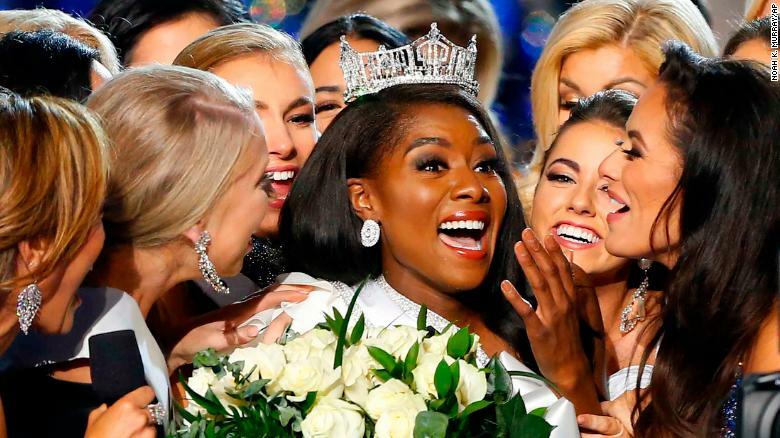 My Black Is Beautiful and we got Miss New York Nia Franklin who has been crowned Miss America for 2019 to prove it. NYDN: In a pageant clouded by controversy after its swimsuit portion was eliminated and plagued by in-fighting between last year’s winner and the organizers, Franklin, gorgeous in a white gown, brought home the crown by beating out Miss Connecticut Bridget Oei, who finished as runnerup. Frankin, 25, moved to New York after she was accepted into the Kenan Fellow program at Lincoln Center Education in Manhattan. She earned a master’s degree in music composition from University of North Carolina School of the Arts. On her official bio page, she said the competition empowered her to become a champion for all children to have access to quality arts education. “I understand what it means to work hard,” she said, to loud cheers from the audience. From the stage after her win, an emotional Franklin thanked God, her parents and her fellow competitors. 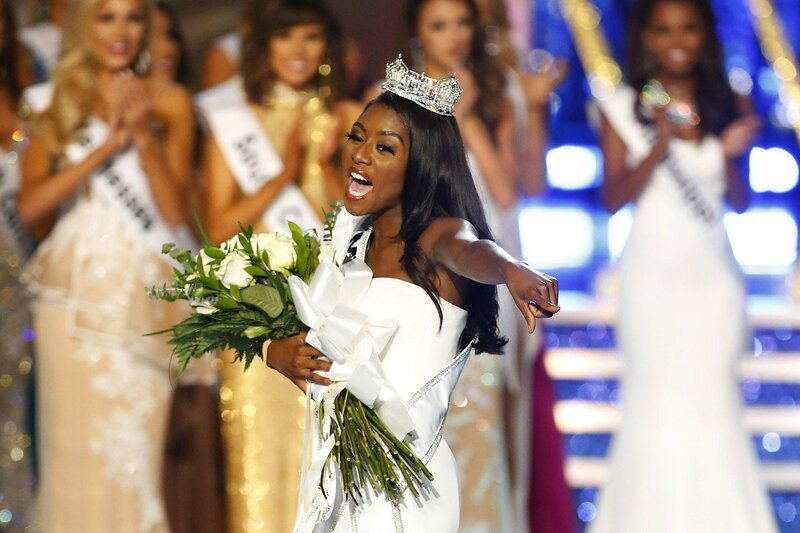 She finished victorious from a final five that included Miss Louisiana Holli Conway, Miss Massachusetts Gabriela Taveras, Miss Florida Taylor Tyson and Oei.